Provide comfort for the family of Salvatore P. Salamone with a meaningful gesture of sympathy. Salvatore P. Salamone, 88, of Peabody, with his family the owner of the former Salamone’s Market in Maynard, MA, passed peacefully Mon. Feb. 4, 2019 in Beverly. He was the beloved husband of the late Anne F. (Nobile) Salamone, to whom he was married for 50 years at the time of her passing in 2003. Born and raised in Maynard and a graduate of Maynard High School, he was the son of the late Rosario and Rosina (Terrasi) Salamone. Mr. Salamone and his family owned and operated Salamone’s Market, a fixture on Main Street in Maynard for 63 years. He and his wife Anne married in 1954, and a month later he began his active service with the 567th US Army Band, serving honorably during the Korean War. A talented musician, he played the clarinet and the saxophone. With his brothers Tony and Peter, he formed Salamone’s Orchestra, entertaining for over 20 years. Mr. Salamone loved ballroom dancing, and in later years traveled to Malden and Beverly to dances every Saturday night. 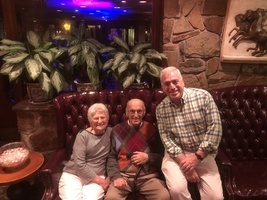 He was a member of the Maynard Lodge of Elks, the St. Anthony’s Society through St. Bridget’s Church, and was active in the community senior centers in Peabody, Saugus, Beverly, and Danvers. He especially cherished time spent with his family and friends, loved and was always so proud supporting the theatre, music and sporting events of his grandchildren; and was looking forward to the birth of his first great-grandchild. He is survived by a daughter, Rosanne Lambert and her husband Walt of Milford, NH; son Anthony Salamone and his partner Shawn Tumpney of Santa Rosa, CA; grandchildren Lauren Lambert of Milford, NH, and Brian Lambert and his wife Nicole of Islip, NY; a sister Madeline “Cookie” Cyr of Stow; and his dear companion Frieda Palazzo of Revere. He was the brother of the late Anthony Salamone, Sophie Arena, Peter Salamone, Marion Marrella and Theresa Salamone, and is also survived by many nieces, nephews, cousins, and sister in law Mary Mambro of Methuen and extended family. We encourage you to share your most beloved memories of Salvatore P. here, so that the family and other loved ones can always see it. You can upload cherished photographs, or share your favorite stories, and can even comment on those shared by others. 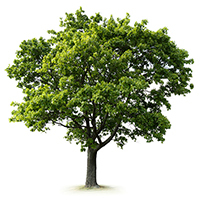 Plant a Tree in Memory of Salvatore P.
Dear Rosanne, Tony and family, So sorry for you loss. He was a Salamone, a great breed of people. Thanks to Ree , Vicki, Russ and their families, I met you guys. My best to 'Cookie" and the entire family along with a wonderful community that you grew up in. Nina Rubino Phalen "Bino"
May this tree of life grow tall in your memory.